Adele Announces That She Is ‘Over The Moon’ With Shock Pregnancy! 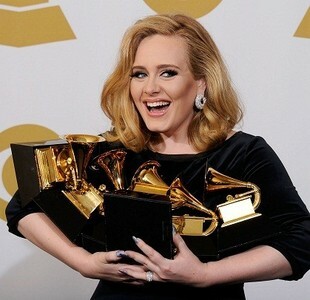 Adele, one of Britain’s biggest female artists, has revealed the exciting news that she is an expectant mum to-be! The ‘Someone Like You’ singer made the shock announcement on her website that she and her boyfriend Simon Konecki were expecting a baby – much to the delight of her fans. The singer has been dating her boyfriend Simon, 36, for just over six months now and the pair has seemed extremely happy together. The singer has never tried to hide the fact that she has always wanted to be a mother and once even said that she hoped to have at least three sons by the time that she reached 30. After the success of her award-winning album ‘21’, which transformed her into a worldwide star, the singer also told the media that she planned on taking some time out from her career to focus on her relationship and have a family. However, the star then quickly rushed to take back her words after fans began to panic that they would see no more of the singer for some time. Having said this, the beautiful soul singer is still yet to announce a date for her next album – or her new little arrival. This entry was posted on Saturday, June 30th, 2012 at 2:05 pm	and is filed under Music News. You can follow any responses to this entry through the RSS 2.0 feed. Both comments and pings are currently closed.